Alain Sign missed out on Olympic glory in Brazil today. The Lee-on-the-Solent sailor, accompanied by Dylan Fletcher in the 49er (skiff) class, was in with a shout of a medal going into the final day of racing on Rio’s Marina da Glória. 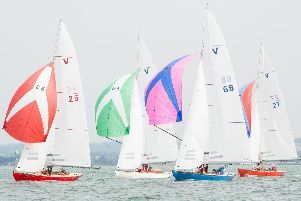 Sitting fourth in the standings ahead of the medal race, the British duo knew a podium finish was in their grasp after steadily moving up the rankings over the course of the 13-race event. However, their dream of securing a top-three finish ended after they came a disappointing 10th in the final outing. That saw Sign and Fletcher – who were making their Olympic debuts in Brazil – drop to sixth in the overall standings. The gold medal was won by New Zealand duo Peter Burling and Blair Tuke, who won the medal race. Nathan Outteridge and Iain Jensen (Australia) claimed silver, with German pair, Erik Heil and Thomas Plössel claiming the bronze medal.